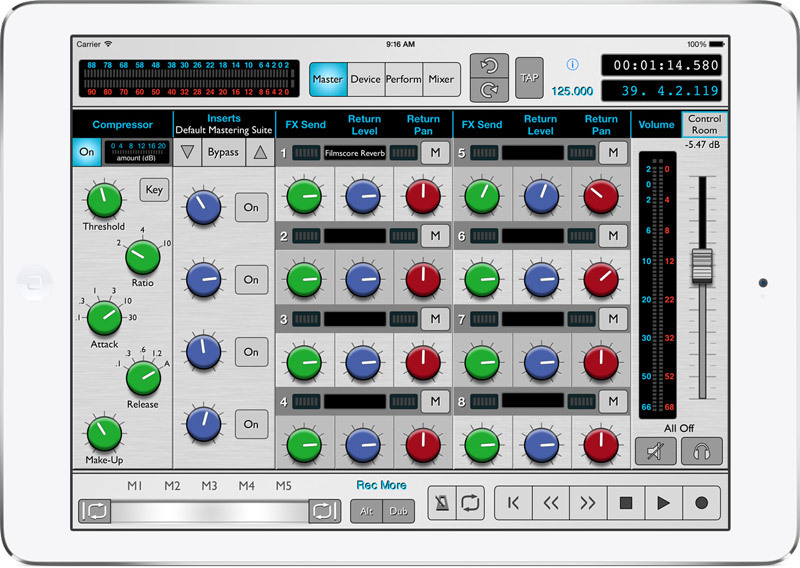 Operate Reason’s Transport functions, Main Mixer, Master Section & Device Rack from the iPad - use the full computer screen for the Sequencer! 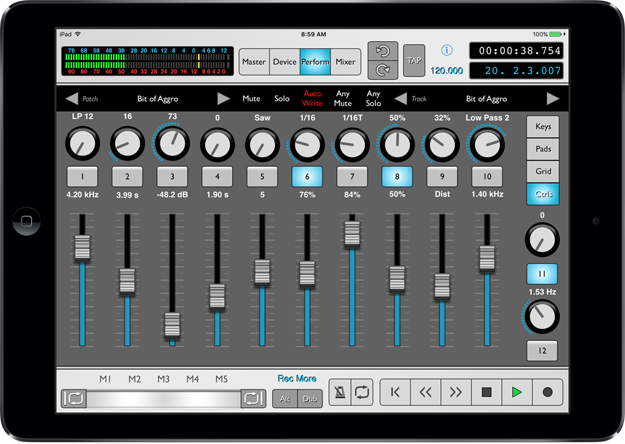 Tap the arrows or swipe across the image below to see the rsTouch Mixer & Master screens. 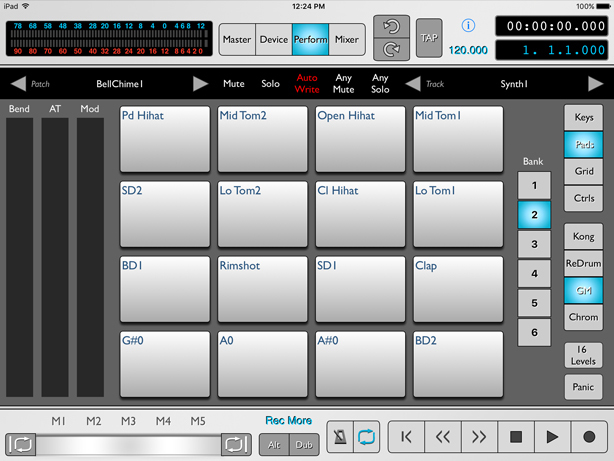 The Device & Perform mode screens are described later on this page. Swipe across the image below to see the rsTouch Mixer & Master screens. 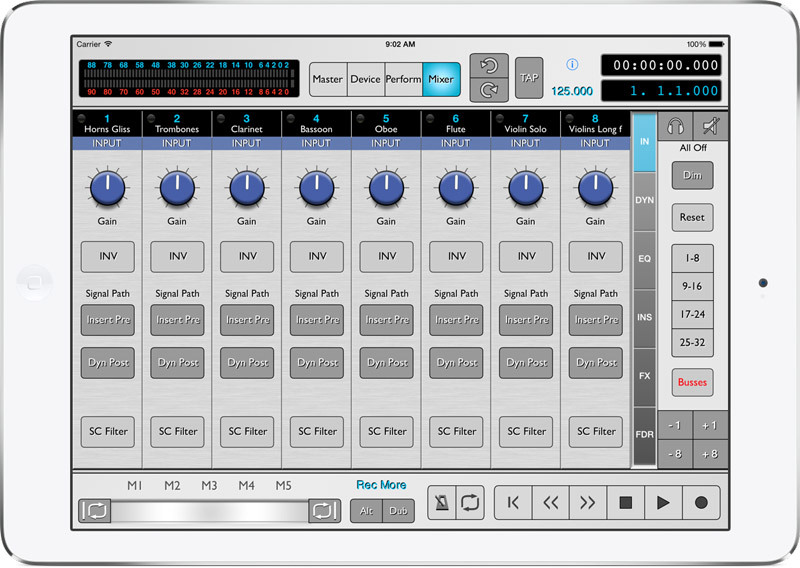 The Device & Perform mode screens are described later on this page. rsTouch 2.9.6 is the latest release. You must update the codec support files. 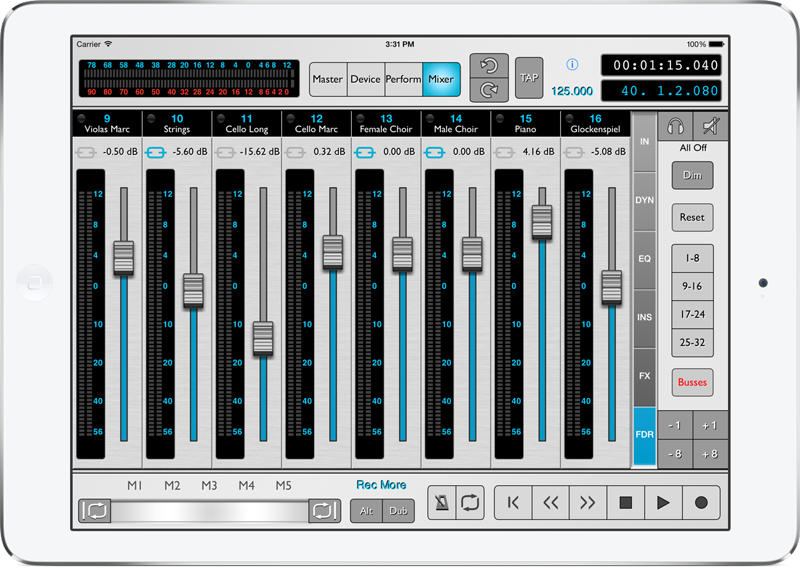 Tap the button below to get the latest version of the free support files. 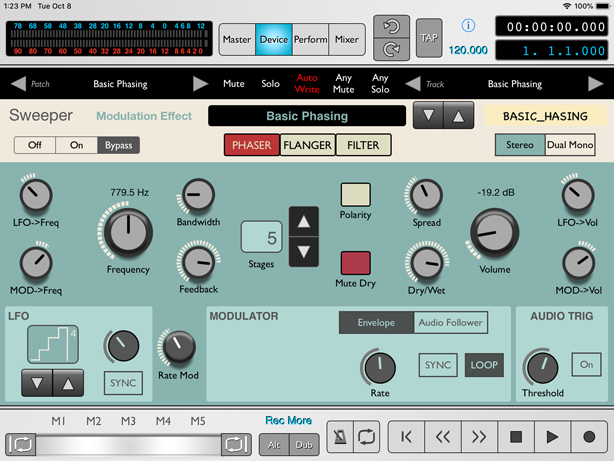 Most Mixer sections have multiple screens that emulate Reason's editing capability. 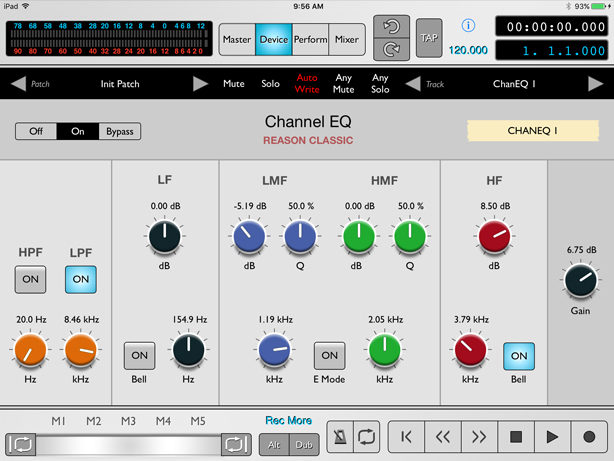 This example shows the second of three screens of EQ controls. 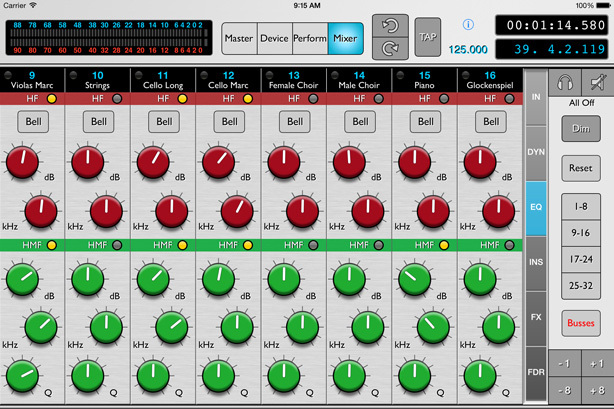 Access multiple screens by repeatedly tapping on the Selector button (FDR, FX, EQ, etc.) or scroll with your finger up and down within the Selector strip. 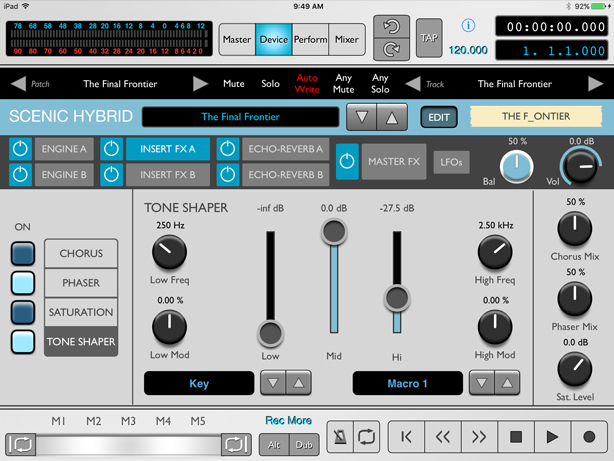 Master section controls are shown on the rsTouch Master screen. 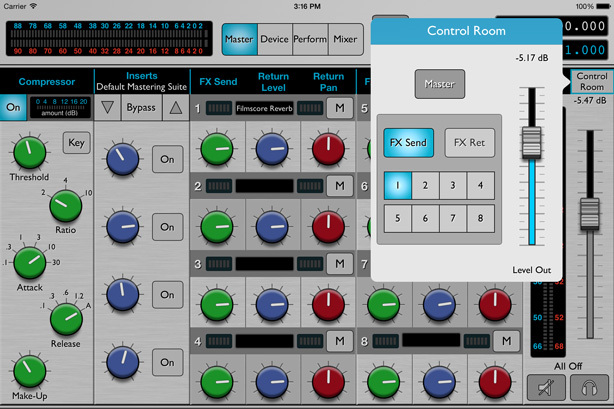 Control Room functions are accessed with a popover. 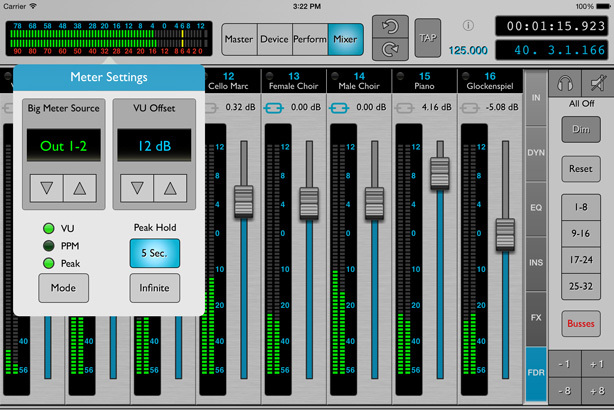 Channel level meters dynamically display during playback. The "Big Meter" shows on all screens. Adjust by double tapping on the meter to show the popup. 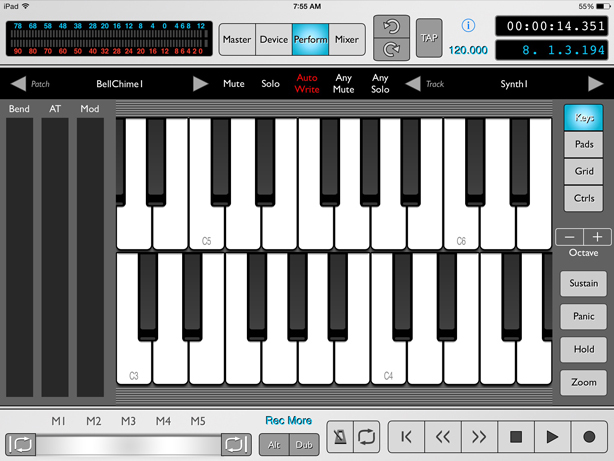 Slide within the jog strip to move about your song. Set start and end loop points, and program 5 location markers. 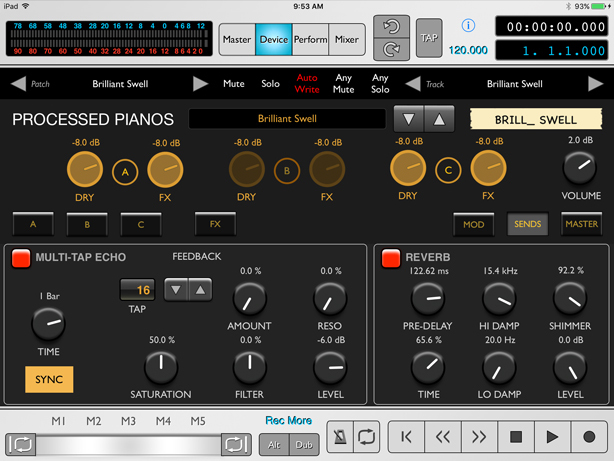 View all the channels in your song by using the +1, -1 buttons to move the bank by one, or +8, -8 to move by eight channels. Quickly go to the next banks using the preset buttons. 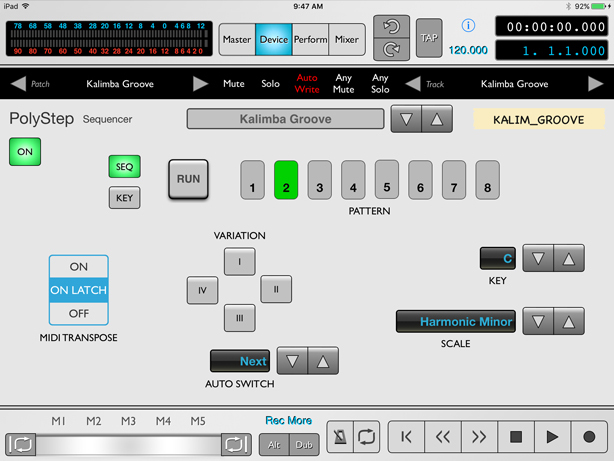 These buttons can be programmed to any consecutive group of 8 channels. 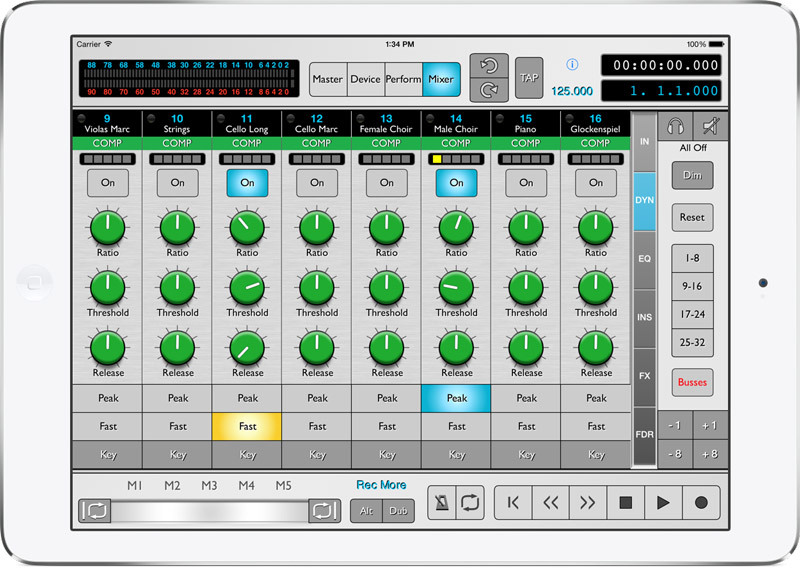 No need to spend time creating generic templates for controlling Reason devices and Rack Extensions (RE's) from your iPad. 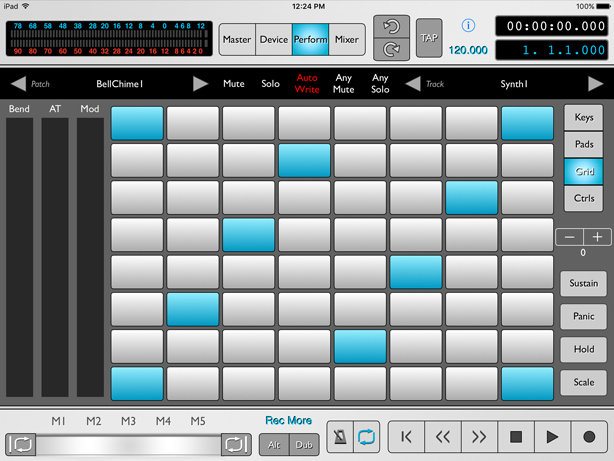 rsTouch has optimized, customized screens for many popular RE’s. rsTouch 2.9.6 adds custom support for 5 recent Propellerhead Rack Extensions. Here's 4 of the 10 rsTouch device support screens for the Complex-1 modular synthesizer instrument RE. 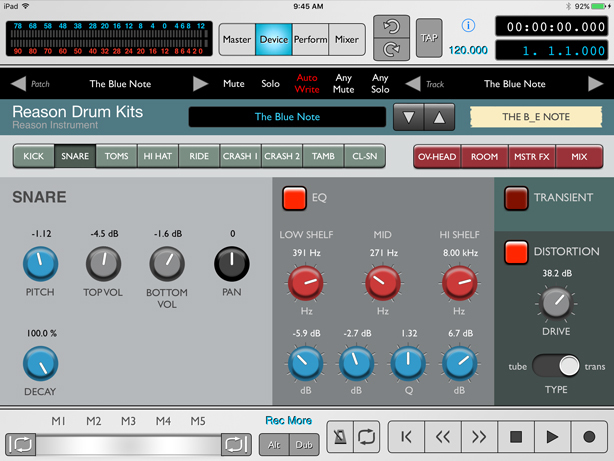 rsTouch 2.9.6 also adds support for Propellerhead Reason Electric Bass, Umpf Club Drums and Umpf Retro Beats instruments, plus the Quad Note Generator player. 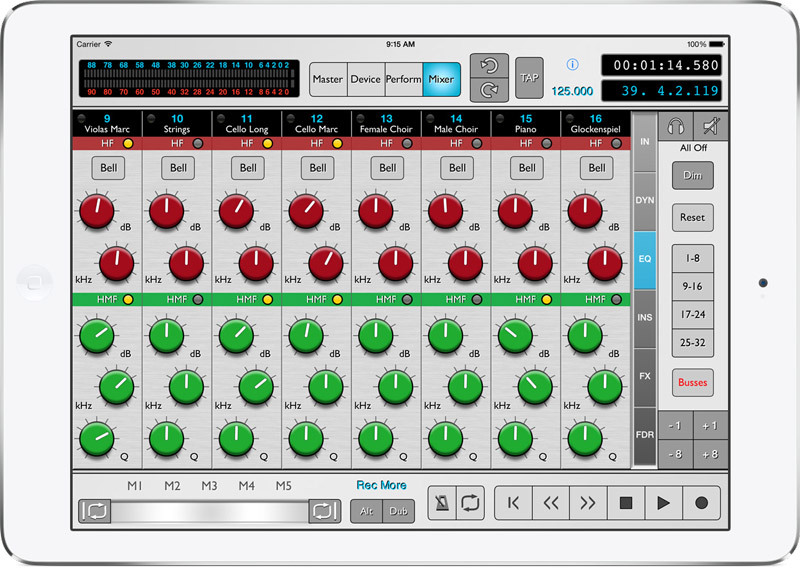 Tap on the Features icon at the bottom of this page to see the full list of all RE’s currently supported. 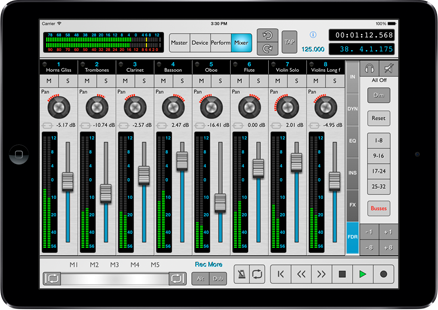 Enjoy Ad-Hoc Control Over Multiple Devices and RE's From 1 Screen. Great for Performance use! 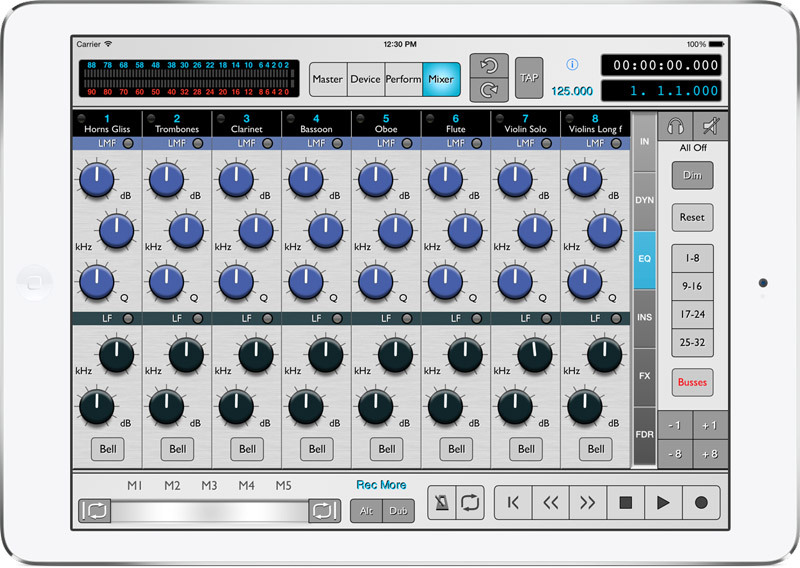 rsTouch requires the installation of (free) Reason control surface (codec & map) configuration files on your Mac or PC - in the Requirements & Setup section below.